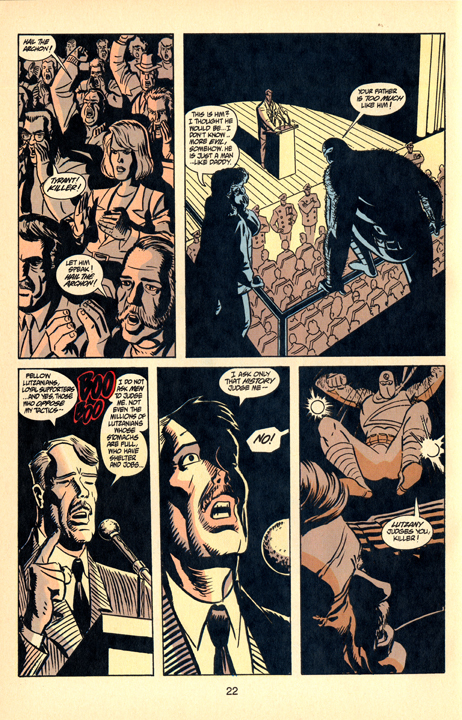 This is page 22 for "The Mark" issue 2, volume 2, otherwise known as "The Mark In America", published by Dark Horse Comics in January 1994. Written by Mike Barr, drawn by Brad Rader. Love he scan, and how naturally you use perspective to help guide the reader through the page. Bravo. 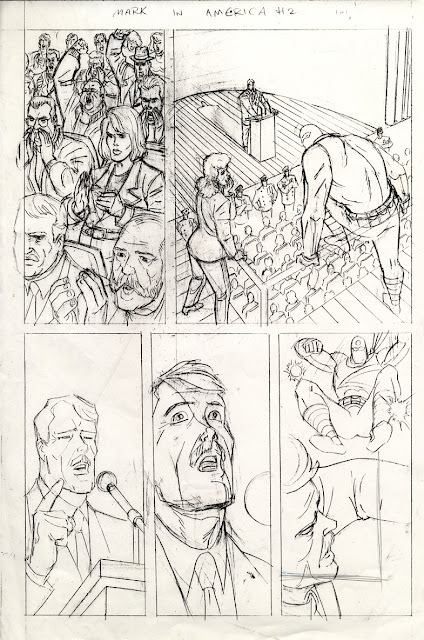 Stuff with clarity like this is much more fun that the over rendered bad perspective art of a Jim Lee these days. Makes you just want to go and cry.